Innokin’s first pod system is here! 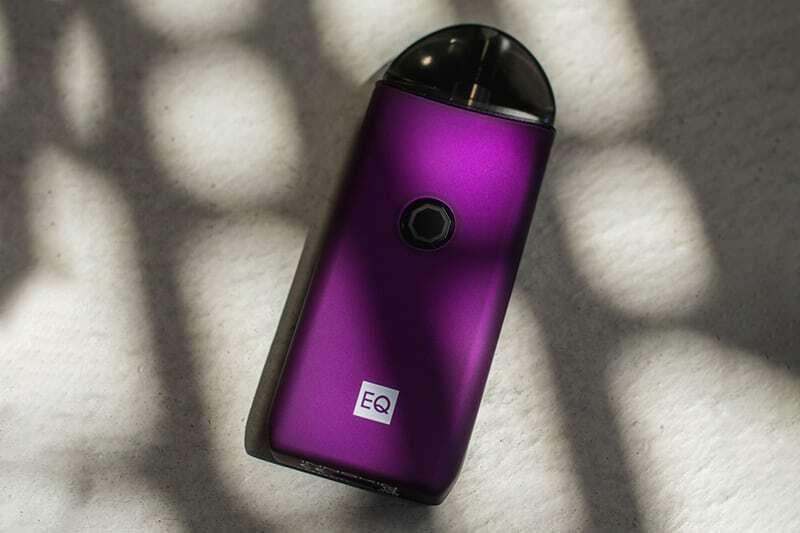 The Redefined EQ takes its name from the phrase “EQual to smoking experience” and, as is the case with many of Innokin’s products, is designed to help smokers make a transition to vaping. It features an 800 mAh battery and introduces some innovative features, along with a coil design that some mouth-to lung vapers might already be familiar with. The Innokin Redefined EQ features a 2 mL refillable pod and follows the design and form factor introduced by the SMPO and popularized by the Vaporesso Nexus. It is a button operated manual draw device, similar to the Aspire Breeze 2, with the difference being that the coils are actually part of the pod and not removable. The EQ is a “real” pod system, meaning that the coil is part of the pod. The coil design is based on the Plexus coils that Innokin released recently for the Zenith MTL tank. They are the first mesh coils made specifically for mouth-to-lung and are claimed to last “much longer” than normal coils. My Zenith Plexus coil is still going strong after two weeks of daily use, so that’s a good indication for coil longevity. Another innovative feature of the EQ is its filling mechanism. No need for carrying needle-tip bottles or having to remove tiny plastic plugs. Just twist and open the pod and fill through one of the two large holes that appear on the sides. Two thumbs up for the design, as most pods on the market suffer in the filling department. The Redefined EQ is regulated and provides stable power output throughout the life of the battery. On top of that, the user can change between two power modes: normal (13.5 watts) and boost (15.5 watts.) Changing between these two is pretty straightforward: just click three times to turn the device off and press the power button until it flashes – white for normal and red for boost mode. Innokin seems to have done their homework and their first pod system looks like a meticulously designed vape. The EQ is full of practical features and adopts a very promising coil design that may be a winner. Stay tuned, as we will probably be testing the device and its Plexus coils soon. What do you think of the Innokin Redefined EQ? Let me know in the comments section. The post Innokin Redefined EQ Preview | Innokin’s First Pod System appeared first on Vaping360.